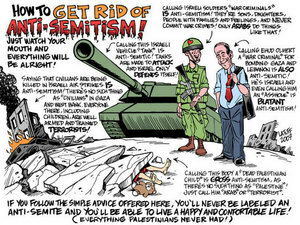 Every year since 2002 the University and College Union (UCU), the largest trade union and professional association for academics working in further and higher education throughout the UK, has attempted to implement some form of boycott of Israeli academic institutions that have been shown to be complicit in the ongoing persecution of the Palestinian people. And each year, amid much acrimony and cries of “anti-semitism”, boycotters meet with significant resistance from pro-Israeli members of British academia, and other institutions. This year however, lowly Sott.net has inadvertently become involved in the melee. issue guidance to members on appropriate forms of action. actively encourage and support branches to create direct links with Palestinian educational institutions and to help set up nationally sponsored programs for teacher exchanges, sabbatical placements, and research. In the end however, and after much pressure being brought to bear, the boycott effort was dropped on legal advice that it would be unlawful and could not be implemented, despite the fact that the motion merely called for individual branches to inform their members and debate the pros and cons of a boycott and decide for themselves how or if to proceed. What this amounts to is basically a call for UCU members to just think about the implications of ties with Israeli academic institutions that are involved in supporting Israeli government oppression of Palestinians. Once again however, the pro-Israel camp came out in force. The point of a boycott of Israeli academic institutions is eminently defensible because its primary goal is to put pressure on the Israeli government to cease its brutal treatment of the Palestinian people and to adhere to international law. It has absolutely nothing to do with any anti-semitism among the supporters of the boycott in British academia. Of course, this does not stop the anti-boycott pro-Israel camp from repeatedly using the slur of “anti-semite” in an effort to intimidate those calling for a boycott. Since the beginning of the boycott movement, several anti-boycott websites have sprung up, the most prominent of which seems to be engageonline.org.uk, operated by David Hirsh, lecturer at University of London’s Goldsmiths College. “created to arm people with arguments and facts that they could use to counter the propaganda of the boycott campaign within the Association of University Teachers. Engage grew from a being a resource for that particular and successful campaign into being a resource that aims to help people counter the boycott Israel campaign in general, as well as the assumptions and misrepresentations that lie behind it. That’s the background, now comes the unsavory part. For the past few months, debate for and against the boycott has been raging on a private UCU member email discussion list (about 700 members) with the majority of members coming out in favor of the boycott. A selection of these private email exchanges were leaked to the Engage website (many can be read here), but one in particular must have seemed like a godsend to the anti-boycott pro-Israel camp. No comment necessary. The facts are speaking for themselves. The article that Ms. Delich referenced was written by me in 2006 and entitled “Racism, not Defence, at the heart of Israeli politics” (original here). However, the link was to the web site of infamous white supremacist David Duke. Someone at Duke’s site (or Duke himself) had apparently republished the article, without my permission or knowledge. Unsurprisingly, the anti-boycott camp immediately pounced and, ignoring the most obvious explanation (that Ms Denlich had never heard of Duke and was simply posting a link to the article and not his website) decried the “obvious link” between the UCU and “perhaps the most notorious racist and anti-semite in the world“. I can’t speak for Ms. Delich (although I strongly suspect my hypothesis above is accurate), but all contributors to Sott.net deplore racism and everything that Duke stands for. A careful reading of our published works makes our position on Israel, Judaism etc. very clear to any normal, rational person, and nowhere will you find the merest hint of any real anti-semitism, racism, holocaust denial, white supremacy, or KKK membership for that matter. In fact, Sott.net was founded on solidly humanitarian ground and in response to the increasingly extremist beliefs and policies infecting the halls of power and the minds of far too many otherwise well-meaning people. It is natural therefore that we would seek to speak out against Israeli government and military human rights abuses against Palestinians, and that we would strongly support the UCU boycott of certain Israeli academic institutions as a way to put pressure on the Israeli government to change its ways. The best known case of a similar international boycott occurred during the Apartheid regime in South Africa when dozens of nations around the world implemented various types of sanctions and boycotts (including academic boycotts) that played an important role in the ultimate fall of the unjust system. Veterans of the anti-apartheid struggle said last night that the segregation endured by Palestinians in the Israeli-occupied territories was in some respects worse than that imposed on the black majority under white rule in South Africa. Members of a 23-strong human-rights team of prominent South Africans cited the impact of the Israeli military’s separation barrier, checkpoints, the permit system for Palestinian travel, and the extent to which Palestinians are barred from using roads in the West Bank. After a five-day visit to Israel and the Occupied Territories, some delegates expressed shock and dismay at conditions in the Israeli-controlled heart of Hebron. Uniquely among West Bank cities, 800 settlers now live there and segregation has seen the closure of nearly 3,000 Palestinian businesses and housing units. Palestinian cars (and in some sections pedestrians) are prohibited from using the once busy streets. Fatima Hassan, a leading South African human rights lawyer, said: “The issue of separate roads, [different registration] of cars driven by different nationalities, the indignity of producing a permit any time a soldier asks for it, and of waiting in long queues in the boiling sun at checkpoints just to enter your own city, I think is worse than what we experienced during apartheid.” She was speaking after the tour, which included a visit to the Holocaust Museum at Yad Vashem and a meeting with Israel’s Chief Justice, Dorit Beinisch. In Hebron’s main Shuhada Street, the South African delegation was plunged into a confrontation after one of the local settlers’ leaders disrupted the tour by unleashing a barrage of abuse through a megaphone at one of the Israeli guides. Amid angry arguments, police arrested three of the Israeli guides. Andrew Feinstein, a former ANC parliament member, said that the visit to Yad Vashem had been “extremely moving” because his mother had been a Holocaust survivor who lost many members of her family. “As you walk into Yad Vashem you see a quote that says in effect you should know a country not only by what it does but what it tolerates,” he said. “So I found it very shocking to then come and here and see footage of teenagers heaping abuse on Palestinian children as they come out of school, and throwing stones at them. And that this should be done in the name of Judaism I find totally reprehensible. In October 2005, 13-year-old Iman al-Hams was shot and wounded by an Israeli army unit in the southern Gaza Strip town of Rafah, despite being identified as a little girl, and wearing a school uniform. Iman was machine-gunned by the unit’s commander. She had 17 bullets in her body, and three in her head, a Palestinian doctor told the Guardian. Iman is one of 654 Palestinian children to have been killed in the occupied territories since September 2000. Several were killed as they sat at their desks in class. Three and a half thousand children have been wounded. Over 300 are in Israeli prisons. Iman’s is such a case, 20 years on. Archbishop Tutu has described the situation of the Palestinians under occupation as worse than South Africa under apartheid. In July 2004, the international court of justice ruled that Israel’s 280 mile wall, the latest burden on Palestinians, was illegal. But Israel, like the old South Africa faced with international disapproval, simply ignored it. Twenty years ago, 496 British academics responded to an appeal from the African National Congress leaders in exile after two academics were served with banning orders. They signed a letter calling for an academic boycott of South Africa. Today, some in the new generation of British academics feel they cannot accept Israel’s occupation of East Jerusalem, the West Bank and Gaza, the policies that brought the wall, and a new generation of children suffering like those South African children whose wounds of mind and body never healed. Iman and Johnny will never go to college. But some of the Israeli soldiers implicated in crimes like the one that killed the little girl are university lecturers who serve in the occupation army reserve forces every year, and who otherwise go about their academic “business as usual” for the rest of the year. No Israeli academic institution has ever severed its organic ties with the military-security establishment in protest. None has issued a public statement condemning the grave violations of Palestinian human rights. This is part of the reason why Palestinians have called upon the world to boycott Israeli academic institutions. And that is precisely the goal of the repeated attempts by the UCU to institute an academic boycott (of some nature) against Israeli institutions – to make a public statement condemning the Israeli government for its human rights abuses. Yet somehow, the debate is always twisted and turned around to allegations of “anti-semitism” – that if you support the boycott you are somehow motivated by a ‘hatred of Jews because they are Jews’. The contention is clearly ridiculous. Those supporting the boycott and the vast majority of those that condemn the situation in Palestine and Israel are well aware that the Israeli government and the Jews of Israel and elsewhere are far from synonymous. Events leading up the Iraqi invasion, when Tony Blair ignored the mass public demonstrations and not only joined the US-led invasion but fabricated evidence to justify it gave the British public a stark reminder of just how impotent they are to influence government policy on the most important matters. In Israel the situation is no different. A majority of Israeli citizens want peace (who wouldn’t?) but their government continues its aggressive policies towards Israel’s Arab neighbors, placing the lives of Israelis at risk, and public opinion be damned. How then can the anti-boycott camp in the UK and elsewhere reasonably insist that exerting academic, political or economic pressure on the Israeli government is tantamount to hatred of Jews? Clearly the boycott seeks to achieve the very same thing that a majority of ordinary Jews (at least in Israel) want – an end to the violence and peaceful cohabitation. The answer of course is that they cannot ‘reasonably’ make such a claim, and there is nothing reasonable about the tactics they use to silence the boycott campaign. Jenna Delich posted a link to my 2006 article. She was unaware that the link was not to the original Sott.net article but to a reproduction (now removed at my request) on David Duke’s site. She sought to share the content of the article, not the content of the site on which it appeared. The content of my article is in no way anti-semitic. My article draws conclusions that are backed by mainstream press reports (which I cite). My article attacks the Israeli government and its institutions and warns that (in my opinion) in the not too distant future the actions of the Israeli government may prove to be as much of a threat to the lives of Israeli Jews as they are now to the lives of Palestinians and Arabs in the Middle East. Clearly this is notanti-semitic. Is anything that I say in my article actually wrong? Not in my opinion. However, if someone at Engage or Harry’s Place, can point out the errors, I will be happy to accept them and make the necessary corrections/retractions. But I seriously doubt that this will ever happen, because such people are not interested in reasoned argument backed up with objective facts. Writers at Harry’s place continue to claim that my article is “racist diatribe” and that “Jews were the target”, despite the fact that the word “Jew” or “Jews” or “Jewish” do not appear in the article. My article is clearly directed at the Israeli government and its institutions, yet the anti-boycotters are determined to convince everyone, me included, that I, and anyone who agrees with my points, are attacking the Jews! Well, I’m sorry but I’m not buying it, because it is unmitigated nonsense. I don’t care how much they try to convince me that I hate Jews, I will always reject such a charge. Why would I hate people I don’t even know? Why would I hate people I DO know and love? I have several close friends of Jewish background, people I consider brothers and sisters. Are the anti-boycotters saying that the fact that I wrote an article that was critical of the Israeli government, means that I now hate my close friends?! One mistake, one unintentional posting of a link to Duke’s site, and Delich is now apparently someone who “posts links to articles on the website of neo-Nazi and former Ku Klux Klan member, David Duke.” How’s that for a smear job on an innocent woman? Do these seem like the actions of people who are interested in open and honest discourse on the plight of the Palestinian and Israeli people? Or are they the actions of people who, having no reasonable argument to put forth, resort to ad-homimen attacks and the blunt force instrument that is the cry of “anti-semitism”. In doing so, are these people not in fact working against the expressed desire of the Israeli people for peace with their Palestinian and Arab neighbors? In thwarting the efforts to pressure the Israeli government to fulfill the wishes of the Israeli people for a peaceful settlement (which is being forestalled by continued Israeli oppression of Palestinians), how can these people claim to be defending Jewish interests? Clearly they are not, but they are certainly defending the interests of the corrupt Israeli government, in precisely the same way that the pro-war rantings of right-wing American ‘patriots’ defend only the interests of the corrupt Bush government and their lackeys. If I criticize the US government (which I do, often) does that mean that I hate the American people? If I criticize the Irish government (which I do, often), does that mean that I hate the Irish people? Do I hate myself? Am I a ‘self-hating Irishman’? Am I permitted to deny any association with, or that I am influenced by the real anti-semitism of the Nazi era on the basis that I was born many years later in a country many miles away with no exposure to anti-Jewish sentiment? If so, can I then claim immunity from the threat of being made guilty of anti-semitism by virtue of non-Jewishness and expect that my criticism of the Israeli government will be understood as just that – criticism is of the Israeli government – and not hatred of the disenfranchised Jewish people? Is it possible for a person to criticize or otherwise democratically agitate for the removal of a government without also wishing the demise of an entire population? Is it possible that the vast majority of critics of the Israeli government are motivated by a sense of empathy with the suffering of the Palestinians, and outrage at the Israeli government as the source of that suffering, rather than a bizarre and unrelated hatred of Jews? And is it possible that those who refuse to accept this contention and instead condemn government critics as “anti-semites” do so because they themselves simply do not, or cannot feel such empathy for the oppressed? Is the problem here that we are essentially talking different ‘languages’? If this is the case, and my own experience suggests that it is, then perhaps we should recognise it and ‘draw the line’. Let the anti-boycott and pro-Israel camp continue to prevaricate and excuse the abuse of the innocent, and let the rest of continue to fight for justice. “Yet the Israeli government does a very good job of convincing the whole world that it is the victim in the conflict. How can this be? Israeli control of the press? Could that ubiquitous “conspiracy theory” actually be closer to a conspiracy fact? I don’t really care, all I want is for someone to explain to me how, in a situation where there is massive evidence that 1.4 million completely isolated Palestinian civilians in the Gaza strip are being systematically murdered and starved by the state of Israel with its shiny 21st century military and all the tax dollars and support America can muster, somehow the entire world believes that those 1.4 million dispossessed are “evil terrorists” and “only have themselves to blame”. Now, are the above comments anti-Semitic? If they are backed up by mainstream sources that show a clear bias towards Israel in the mainstream press, are they still anti-Semitic? If a meticulously researched scholarly paper by two eminent U.S. professors provides ample evidence for the existence of a very powerful Israel lobby in the US and in other nations, is it anti-Semitic to infer that said lobby could exert control over mainstream press corporations that report on the Israeli-Palestinian conflict, and that said lobby could have some connection to the Israeli government? Can someone please explain to me how, if I draw this conclusion, it is evidence that I ‘hate Jews because they are Jews’. How does making logical and reasonable deductions from verifiable facts make me anti-semitic? Or perhaps I am anti-semitic because I am challenging the logic of those supporters of Israel that want to label me anti-semitic? A member of the British academic union that voted to reintroduce a boycott of Israeli academia has posted a link on the union’s Web site to an anti-Semitic article on the Web site of former Klu Klux Klan leader David Duke. Jenna Delich, a member of the University and College Union, posted a message on the UCU Web site’s activist list with a link to the article. Note the title of the piece. Mr. Paul is apparently in agreement with the anti-boycott camp in the UK that critcism of the Israeli government in order to pressure it to end the human rights abuses in Palestine is “anti-Semitic”. The article, “Racism, not Defense, at the Heart of Israeli Politics,” is an attack on the “Israeli oligarchs” and was circulated to hundreds of the union’s active members. It was written by a 9/11 conspiracy theorist named Joe Quinn. “9/11 conspriacy theorist”? Well, ok, I can accept that. I am of the opinion that the 9/11 attacks involved a group of people conspiring together. I am not entirely certain whether Mr. Paul quoted this paragraph because he agrees with me that to label those who criticise the Israeli government as “anti-Semitic” is a baseless accusation, or if he thinks this paragraph is evidence of my alleged hatred of Jews. Located at Fort Leavenworth, Kan., the School for Advanced Military Studies is both a training ground and a think tank for some of the Army’s brightest officers. Officials say the Army chief of staff, and sometimes the Joint Chiefs of Staff, ask SAMS to develop contingency plans for future military operations. During the 1991 Persian Gulf war, SAMS personnel helped plan the coalition ground attack that avoided a strike up the middle of Iraqi positions and instead executed a “left hook” that routed the enemy in 100 hours. The exercise was done by 60 officers dubbed “Jedi Knights,” as all second-year SAMS students are nicknamed. The SAMS paper attempts to predict events in the first year of a peace-enforcement operation, and sees possible dangers for U.S. troops from both sides. Of course, if Mr Paul is aware of this report by the elite of US military intelligence, I hope that he would agree with me that the Mossad is an Israeli government institution, and any criticism of it does not imply a concomitant hatred of Jewish people. Now here is where Mr. Paul snuggles up close to the defamers at Engage and Harry’s Place and at the same time engages in some real sloppy journalism. All Mr. Paul had to do was click on the link on Duke’s website to see that there is not and never has been a link to Duke’s website on my original Sott.net article (or anywhere else on Sott.net). It should not have been difficult therefore for Mr. Paul to deduce that Duke reproduced my article rather than me “linking” to his site. Furthermore, if Mr. Paul had indulged in some responsible journalism he could easily have contacted me to verify whether or not I had given permission for the article to be posted by Duke or if I even knew that he had done so (I did not). So for some reason, I am not shocked that the Jerusalem Post went for the easy option of a poorly researched hit piece that supports the dubious claim that anti-semitism is on the rise in British academia. The link was discovered by Engage, a group of left-wing trade unionists and academics active in the anti-boycott campaign. Now, the idea that Engage is “left-wing” has me perplexed. I thought that left-wingers were traditionally anti-war, bleeding heart liberal, humanitarian types. Engage was established to opposed the boycott which puts it firmly in the pro-Israeli government camp, with all that entails. Unless of course by “left-wing” Engage means Tony Blair’s ‘New Labour’ type of ‘left-wingism’, in which case I fully understand, but I’m going to have to redefine my political ‘isms. Hirsh said Delich’s e-mails on the activist list had already been the subject of two formal complaints to the union. However, the UCU judged that the evidence was unpersuasive. And why might the UCU have judged that the evidence was unpersuasive? Could it possibly be that the evidence for Ms. Delich’s racism or anti-Semitism was unpersuasive? Like quite a lot of others I feel tired from getting bulks of messages on an hourly basis with this endless discussion going on, and have very rarely felt the need to say something. However, I now feel that I might add a few words. First, I find the whole talk about anti-semitism as an attempt to shift the focus from attacking the IDEA of Zionism and the Israeli politics inspired by it, and subsequent terror it has brought on the Palestinian people. Not all people (in this case Jews) buy into one and the same idea (as we know, it wasn’t even the case in WWII). Therefore, I don’t [think] we could comfortably say that Zionism=Judaism, and therefore, all Jews are Zionists. We know that it isn’t either true or correct. So, I can’t see how attacking an idea may equate to attacking an entire nation or one people. I personally would strongly oppose if a member of my people spoke on my behalf trying to represent me if I did not agree with him. Nobody could have a carte blanche to speak in the name and on behalf of the entire nation. Thus, I don’t think that we can box all Jewish people in a package labelled Zionism, and therefore consider one’s opposition to the idea of Zionism as an attack on the ‘entire package’. Zionism and the official politics of Israel, and its effects on innocent Palestinian civilians who have been denied the basic human rights as a result of such a politics? As to the boycott, I simply see the point of the boycott and similar actions as a way of political pressure to try and change the official politics of one government. We are all familiar with sanctions and even bombing of parts of the world (e.g. Libya, Iraq) that were endorsed by the International community in order to remove oppressive regimes and a certain politics that had far more severe/devastating effects on the entire civilian population of those countries (children, women, elderly etc.) than a boycott would have on Israel. But how do you change one politics if you do not put pressure on the people of that country to make them stand against their government? And are you (or anybody in their right mind) prepared to support building a College on settlements that were once legally the Palestinian land? Would you allow anyone to come and build a shed in your garden, driving you out of there (although it would be only a very tiny piece of land), and them pride myself in having the most beautiful shed in the neighbourhood expecting others to admire its beauty, and praise and applaud the perpetrator? And what would you think of those neighbours who would dare applaud someone invading you garden? As to the bullying, I could never see a political discussion to be deemed as bullying. However, for those who claim this to have been so it would be interesting to invite them to state the exact quotes that they find to constitute bullying. I always believe that claims have to be substantiated by hard facts (what, where, when,and who). The International Court of justice ruled in 2004 that the ‘separation fence’ is illegal, should be dismantled, and Palestinians should be compensated for damages. The Israeli government ignored the ruling and continued to build the wall, so the Israeli government is today in clear violation of international law and as a result is causing suffering to millions of people. Would any other nation be criticized for similar flagrant disregard for international law and human rights? More importantly, has any other nation been criticized for similar flagrant disregard for international law and human rights? The answer is an emphatic ‘yes’. Can we therefore criticize the Israeli government and bring pressure to bear on it by way of boycotts without being labeled anti-Semitic? The European Union Agency for Fundamental Rights and therefore EU law says that we can. As such, for all those who abhor the Israeli government’s continuing brutal treatment of defenseless Palestinians, understand that you are not only legally entitled to criticize the Israeli government, you are also morally bound to do so. I didn’t realise who David Duke was nor did I hear of him. I just looked at the article not the website where it appeared. Apologies for picking up that website as I personallly am strongly against any racists, anti-semitists and the likes of them. I just found the article quite powerful, and none are saying that Joe Quinn (the author of the article) is a racist or anti-semitist, and the article is quite interesting. So, perhaps we should focus on the article itself and not where it appeared (if we look at it in a broader sense, the website itself appeard on Google and so did the article)? Anyone can put anything on their website… Sincere apologies once again though for picking the wrong website, but it’s the article that I found interesting as it gives some amazing facts and it was not written by David Duke (who, I most certainly agree, has no place in UCU but is the author of the website and not the article). Mr. Hirsh at Engage and all of the other “left-wing” anti-boycott, pro-Israeli government defamation artists were surely aware of Ms. Delich’s response, yet they chose to pursue their opportunistic and scurrilous manipulation of Ms. Delich’s simple mistake in their efforts to perpetuate the Israeli government’s continued persecution of the Palestinian people.